This fresh vegetarian dish – which can be pulled together in about 30 minutes – is both sweet and tangy. It combines several foods that are good for you: kale, apples, greens, carrots, and celery. Our fruity Arbequina would be perfect for preparing the fresh orange and lemon juice dressing, which also features apple cider vinegar. The recipe appears in Moosewood’s latest cookbook, Moosewood Restaurant Favorites (St. Martin’s Griffin, 2013). 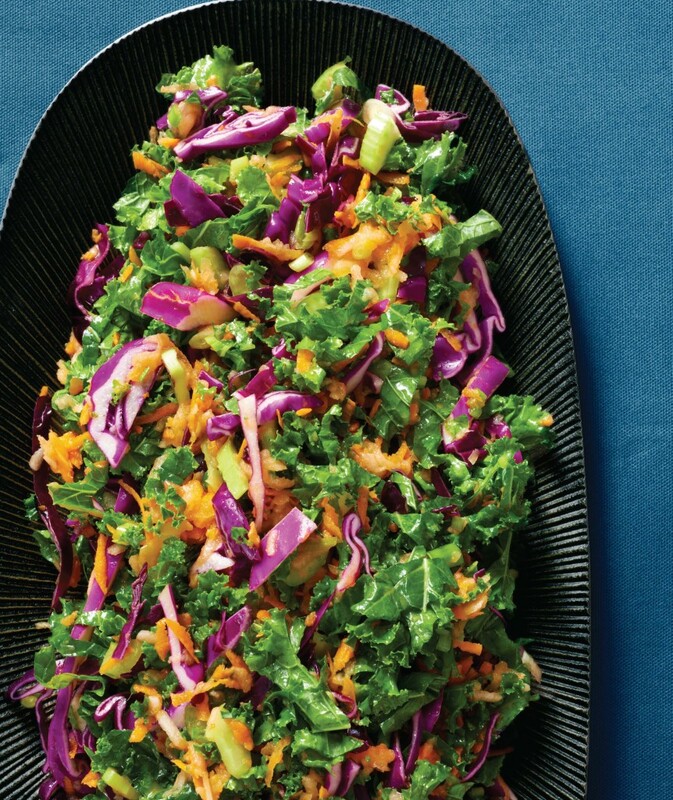 The book walks you through the steps for prepping the slaw. The slaw can be served immediately. Letting it sit “intensifies” the sweetness. The dish will keep in the fridge two or three days. To make dressing: Whisk together orange juice, lemon juice, vinegar, olive oil, salt, and black pepper in a large bowl. This entry was posted in Recipes from Friends, Salads, Vegetable, Vegetarian, Vegan. Bookmark the permalink. I made this over the weekend. it came out great, but true to form, it was even better the second day.